…Above average rainfall in February will help this year's harvest last through October. "It looks like it is in full bloom right now and it looks like it is going to rain. So we need the water as much as we can right now," said Michael Yang, University of California Cooperative Extension. He works with small farms and specialty crops in the Hmong community, including a strawberry field in Northeast Fresno near Willow and Behymer. Yang said the rain will add to the groundwater supply most farmers use to grow their crops plus it will help make the strawberries sweeter. …Connecting the community to the food system is vitally important for the health of individuals and the survival of local farms, according to Rose Hayden-Smith, Ph.D., who is the editor of the UCFoodObserver.com, an online publication for the University of California (UC). 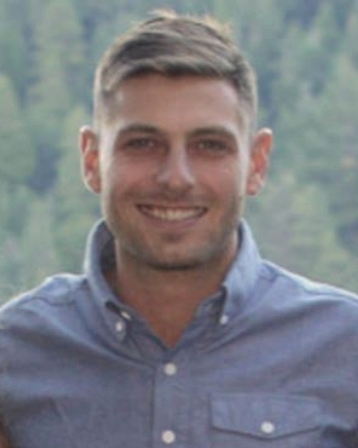 A long-term county resident, Hayden-Smith was previously sustainable food systems initiative leader for UC's Ag and Natural Resources division. …It isn't always easy to pick up a research project and move it to a different country. About ten years ago, difficulties finding funding for his research drove animal geneticist James Murray to move his transgenic goat project from the University of California in Davis to Brazil. The goats were engineered to produce milk that contained lysozyme, an enzyme with antibiotic properties. Murray hoped that the milk could help to protect children from diarrhoea. 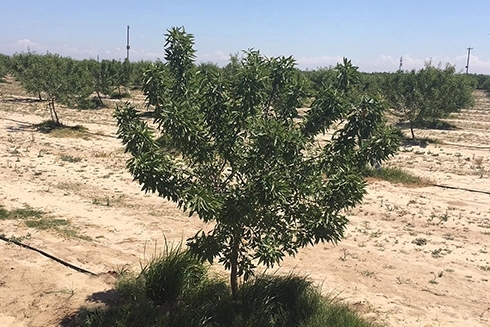 Yaghmour facilitated the second discovery of the nematode in a Kern County orchard a month after the first was uncovered in an almond orchard in Merced County. The Ag Innovations Conference and Trade Show will return to Santa Maria for its third event, this time focusing on biologicals, on March 5. The deadline for discounted early registration is next week. … Considering the growing interest in biologicals and the demand for sustainably produced food, organizers selected topics on biocontrol agents, biostimulants and botanical and microbial pesticides and fungicides for the third conference, said organizer Surendra Dara, UC Cooperative Extension adviser for entomology and biologicals. “The use of biocontrol agents, biopesticides, biostimulants and other such tools is gradually increasing in our efforts to produce with sustainable practices,” Dara said. Orchard recycling research has been going on for over 10 years. UC Cooperative Extension Advisor Brent Holtz has been leading the project and said they continue to see positive results. There is an expense that comes with the practice but Holtz said their longest trial is making that cost back in added production. …In keeping with the expo's theme, “Harvesting Technology,” NASA Administrator Jim Bridenstine visited the International Agri-Center in Tulare and spoke about how technology originally developed for space exploration is now being repurposed and used to improve numerous aspects of agriculture around the world. …The measurement, also taken with LIDAR, can be used to calculate precise irrigation needs of plants and crops.  Bridenstine said this pilot program, in partnership with the University of California Cooperative Extension and other agencies, is only being used in California. Under the hot summer sun of the San Joaquin Valley, just south of Merced, Miguel Guerrero of The Wine Group is trying a new high-wire act. In collaboration with University of California-Davis Cooperative Extension, Roduner Ranch vineyard manager Guerrero is experimenting with Cabernet Sauvignon vines and other varieties elevated by a single wire at 66 inches – plantings that are 2-3 feet higher than the traditional winegrape canopy. … But late last month, UC Berkeley opened the Cannabis Research Center to start tackling some of these social and environmental unknowns. With its proximity to the legendary growing regions of Northern California, the center can start to quantify this historically secretive industry, measuring its toll on the environment and looking at how existing rules affect the growers themselves. The goal is to create a body of data to inform future policies, making cannabis safer for all. … So for the past few years Van Butsic, codirector of the Cannabis Research Center, and his colleagues have been sifting through satellite images to pinpoint those unaccounted-for farms. “We have an army of undergraduates who look at high-resolution imagery and digitize how big the farms are, how many plants we can see,” Butsic says. Because cannabis plants love light, growers usually keep them out in the open. The researchers still miss many trespass growers, however, who tend to hide their plants in the brush to avoid detection. Cultured meat: Good or bad, promise or peril? …To Alison Van Eenennaam, University of California-Davis Extension specialist in animal biotechnology and genomics, proponents of cell-based meat are "overhyping the environmental benefits" and providing an incomplete, misleading case for it. The state and University of California have made significant investments in research to better understand agriculture's unique vulnerabilities and adaptation strategies to a changing climate, including in the state's recently released Fourth Climate Change Assessment. But not enough has been done to translate climate risks to the farm level and assist farmers in adapting to climate change. …The bill would also fund trainings for technical assistance providers and agricultural organizations. According to a 2017 survey of 144 University of California Agriculture and Natural Resources staff, 88% of respondents believe it is important to incorporate climate change information into farm extension programs, but only 43% actually do. Respondents cited a lack of access to climate information relevant to farmers and expressed interest in education on technical tools and information resources. They were also briefed about UCCE and DREC projects, accomplishments and barriers by the directors, county advisors and CES representatives. Even with the onslaught of rainy weather, the U.S. Drought Monitor states San Luis Obispo County and Santa Barbara County remain in a moderate drought. “Leave it to a drought workshop to bring the rain,” Matthew Shapero joked. He is a livestock and range advisor for UCCE. Shapero pointed out a call he received questioning the monitor's accuracy on a local level. Monday, February 4 was a red-letter day for stewardship in California. Not only was the California Legislature celebrating the Chinese Lunar New Year and “National Wear Red Day” as a symbol of support for women's heart health, but members of both houses also paused to recognize Glenda Humiston and Paul Granillo as recipients of the California Economic Summit's 2018 Steward Leader Awards. …A nutritionist for the University of California called the idea that chocolate milk could help athletes “preposterous”. California is a place forged by fire, and its fierce fire-fighting policies are creating fuel-filled landscapes that will burn hotter and faster than ever, reported Lisa M. Krieger in the San Jose Mercury News. "Unless we change course, we'll never work our way out of this dilemma," said UC fire scientist Scott Stephens. "Unless we can get ahead of it, it'll never get better." The River Fire, part of the Mendocino Complex Fire, burned more than half of the UC Hopland Research and Extension Center in July 2018. Strategies to live with fire were modeled at the UC Hopland Research and Extension Center when the Mendocino Complex Fire spread on its rolling oak woodland and chaparral landscape in late July. About 3,000 of the center's 5,300 acres burned. In pastures where sheep had grazed, the oaks still have green leaves. In other areas not grazed since the 1950s, undergrowth provided a ladder for flames to reach oak canopies. In areas were vegetation was reduced by grazing, "the fire was less intense. It skipped around more. 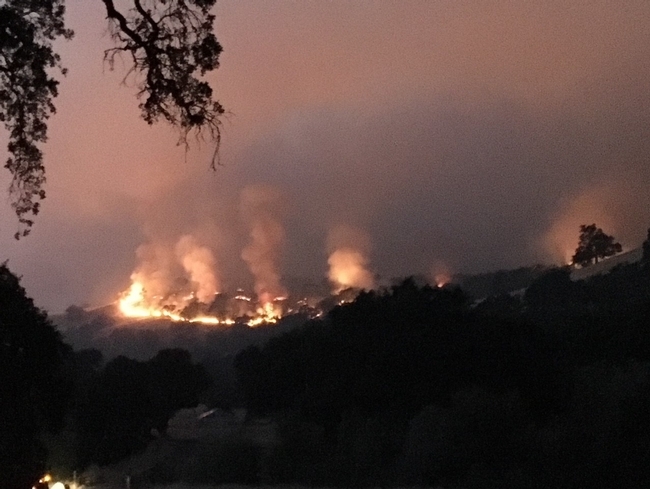 It wasn't as complete a burn," said Hopland director John Bailey. "Having animals on the land reduced the hazard." Prescribed burning is another strategy to maintain a forest that is resilient to fire. Developing Woodland as an agricultural center is becoming more of a reality, even as local organizations worked together in creating a forum focused on agricultural innovation in Yolo County. ...The city of Woodland, AgStart, UC Agricultural and Natural Resources, and the city's Food Front initiative hosted keynote speaker and vice president of the UC ANR, Glenda Humiston, at the conference. The Mouas, along with other Hmong farmers growing moringa, have been working with farm advisers at Fresno County's UC Cooperative Extension to learn how to dry, powder and store their moringa so they can expand into new markets. Most farmers sell it fresh, but most of the health food craze exists around moringa powder, often imported from India. … “Value-added products are a great way for a small family farm to increase their income,” said Ruth Dahlquist-Willard, a small-farm adviser with the program. Many farmers are accustomed to only selling fresh produce. They plant a diverse set of crops in a small area and sell a little bit of everything. Producing a product that requires the extra step of drying, grinding and storing is a whole new world for many of them. “I think there's a lot of opportunity there,” Dahlquist-Willard said. She's particularly excited about how a product might bring the younger generation back to their family farms. Kids who have gone off to college for business, marketing or graphic design might see a new kind of future for themselves on the family farm with a product like moringa. 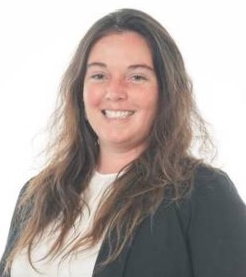 …Katherine E. Soule, 35, is director of the UC Cooperative Extension for SLO and Santa Barbara counties, where she's earned state and national recognition for improving community health and increasing diversity in youth participation. As the extension's youth, families and communities advisor for the last several years, Soule developed new 4-H programs engaging underserved youths and promoting healthy living, leadership and social development. Her efforts nearly doubled enrollment and boosted Latino participation 26.8 percent. She's delivered nutrition education to more than 10,000 people through various partnerships. “I've seen a lot more band canker, which is caused by a pathogenic fungus, Botryosphaeria dothidea, and we're seeing it on young orchards, especially in in San Joaquin county," said Holtz. "We've seen that a lot out in the delta and we've seen it in eastern San Joaquin county where the soils tend to be a little heavier, maybe old dairy ground and richer and we don't really know why." The event will focus on organic hotspots and how rural economies can potentially be stimulated by organic production. Topics will include partnerships between elected officials and the organic community, the role of education and research, along with the process of growing organic produce in local communities. The event will conclude with a keynote speech from Glenda Humiston, Vice President of the University of California Division of Agriculture and Natural Resources. The more than 100 million trees that died in California after being weakened by drought and insect infestations have transformed large swaths of the Sierra Nevada into browned-out tree cemeteries. In some areas more than 90 percent of trees are dead. This week a group of scientists warned in the journal BioScience that the dead trees could produce wildfires on a scale and of an intensity that California has never seen. Tree nut growers who are plagued by gopher invasions in their orchards need to stick with effective control measures if they want to minimize tree losses. Pocket gophers are common in most nut production areas, says Joe Connell, University of California Cooperative Extension Farm Advisor Emeritus in Butte County. In the absence of cover crops or weeds, they will gnaw on tree roots and trunks, and the hungry vertebrate pests can even girdle — and kill — older trees. Trees with root damage and girdling will lose production, and will be susceptible to crown gall, which weakens their structural strength. Roxana Vallejo was 12 years old when her parents opened up Santa Ana Nursery in Bloomington. Wednesday, the California Department of Food and Agriculture will be at her business to destroy almost all of their citrus trees. Vallejo said the combined value of the trees is almost $1 million. "They're all fine, and look at all the new growth, it's pretty good," Vallejo said. The reason they're being cut down is huanglongbing, or HLB, one of the world's worst citrus diseases. The insect that spreads HLB has taken a strong foothold in Southern California. "It's estimated that the citrus industry may go commercially extinct unless they can get a handle on this problem," said Mark Hoddle, UC Cooperative Extension specialist at UC Riverside, more than one year ago. The majority of attention and sympathy have rightly gone toward those who lost their homes in the Thomas Fire, but I would like to take a moment to highlight the story of others who have suffered as well. They are largely invisible, hidden among the hills and canyons, but their contribution to the county is significant. Ventura County is home to a robust and historic cattle industry, one that makes up a $2 million portion of Ventura County's agricultural sector. Ranchers play an important role in land management as well, their grazing operations clearing overgrown brush, reducing the fuel available to wildfires and protecting nearby communities. In the space of 12 hours, the Thomas Fire ripped through vital grazing land that cattle rely on for their daily feed. Sadly, some animals were also lost to the fire. With feed and fencing gone, many ranchers had hard decisions to make regarding the future of their operations, and some were not prepared for this kind of disaster. Thankfully, we have dedicated public servants who stepped up to help the cattle industry. Ventura County Agricultural Commissioner Henry Gonzales, Matthew Shapero from the UC Cooperative Extension, and Donna Gillesby and Bryan Bray of Ventura County Animal Services all reached out to ask what they could do to help. An emergency program was put in place to supply five days of hay until ranchers could get on their feet. The UC Extension also provided a one-stop location where ranchers could meet with representatives from multiple agencies to apply for assistance programs. The assistance of these agencies was very much appreciated. We want to thank and recognize them for helping us in our time of need. We look forward to returning to our passion: managing and improving the land and continuing Ventura County's ranching heritage. One morning last summer, University of California Cooperative Extension vineyard weed control advisor John Roncoroni displayed a horseweed plant that had grown to more than 10 feet tall in a Yolo County vineyard. Horseweed, which is widely seen on the sides of the state's highways, is among the glyphosate-resistant weed pests that can develop healthy populations in even well managed vineyards. "We're really having problems with weeds coming in the fall that are resistant to Roundup," Roncoroni said. "Willow herb is tolerant; it's never been completely controlled by glyphosate." A few years ago Central Valley pomegranate growers appeared to be riding a rising tide of popularity for pomegranates spurring optimism about the crop's future. Growers, including those in Kings County, enjoyed prices of over $1,700 a ton as recently as 2011. After a significant planting of new trees, by 2015 pomegranate tonnage was fetching just $450 a ton in Fresno County and falling to $362 a ton in Tulare County according to its 2016 crop report. …UC Farm Adviser Kevin Day says it's simple economics. “We are seeing both overproduction and lack of demand for pomegranates despite expectations to the contrary." Tracy Schohr has devoted much of her career to promoting sustainability in ranching. While at the California Cattlemen's Association, she put on an annual “rangeland summit” that brought ranchers together with environmental experts and climate change policymakers. She also worked on a program to limit ranchers' risk of facing Endangered Species Act violations if they created habitat on their land. “Weeds are probably one of the year-in, year-out problems that growers face,” said Brad Hanson, UC Cooperative Extension, who discussed herbicide resistance with California Ag Today. Counting sheep is no longer for the tired and sleepy. Shepherding has become a booming industry in Placer County. At last count, there are 9,000 head of sheep registered with the county, said Dan Macon, livestock and natural resources advisor for University of California, for Placer and Nevada counties. And there may be more sheep that have not been registered, perhaps because they are in a smaller flock of 10 to 15, he said. Sheep have proven to be versatile. Not only raised for the meat and milk, but also wool fibers, plus, they can help reduce fire danger by eating away tall grasses and shrubs. If you are staying away from romaine lettuce because of an outbreak of E.coli, it's understandable. But at least one food safety expert says it may not be necessary. …But University of California food safety expert Trevor Suslow said it's unlikely the lettuce you buy at the grocery store these days is going to do you any harm. That's because the illnesses happened from Nov. 15 through Dec. 8. Lettuce sold during that period wouldn't be around anymore. “It's not going to last that long, it's gone,” Suslow said. …California has a strong incentive to preserve its 18 million acres of ranchland: Cattle and calves are the state's fourth-leading agricultural commodities (milk and cream are No. 1), according to state agricultural data. But in a Duke University survey of the state's ranchers, more than half said they were “more uncertain than ever” that they would be able to continue ranching. California is losing an estimated 20,000 acres of rangeland each year, according to the Nature Conservancy, and on any given day ads for the sale of cattle ranches dot the Internet. The median age of California ranchers is 58 to 62, and more are aging out of the business with no children interested in taking over the ranch. But this trend can be reversed, according to Lynn Huntsinger a professor of environmental science and rangeland ecology at UC Berkeley. To preserve these landscapes for future generations, ranchers need payment and recognition for their ecosystem services “in order to preserve these working landscapes for future generations,” Huntsinger writes. …“No one knows what's the real threshold for heat damage,” says Rhonda Smith, the Sonoma County-based viticulture farm adviser for the University of California, who has come to Gilfillan to consult on its rehabilitation. Much of the conventional wisdom about how fires interact with vines — that vines can't burn, because of their high water content, for instance — didn't turn out to be true for every vineyard, she says. “In 99 percent of cases, vines were fire breaks,” says Smith. But if there was dry vegetation, if there was wood mulch on the ground, if the soil was especially dry — if, if, if — then they weren't. The next generation of computer-controlled, automated cultivators will be able to use cameras to remove weeds in the seed line as close as 1 inch from young tomato or lettuce plants, without damaging the crop. “It must be more than half the lettuce acreage that is already using the automated thinners,” said Steve Fennimore, UC Cooperative Extension vegetable weed specialist. Fennimore is supervising the Salinas lettuce trials of “marking” the crop in order to make this technology practical for weeding as well. “The weeders already out there tend to be prototypes that people are still experimenting with,” he said. Over a period of 10 months in 2017, America experienced 16 separate, billion-dollar weather and climate-related disasters. Those weather events carved paths of destruction straight through some of the most fertile and productive regions of the country, wreaking havoc on beef cattle ranches in Texas, soaking cotton and rice farms in Louisiana, orange groves in Florida, and burning up vineyards in California. And that was all before Southern California's still-active Thomas fire, which began on December 4, and then closed in on the country's primary avocado farms. It's now the state's largest-ever, in terms of total acreage. California wildfire data from Daniel A. Sumner, Ph.D. of UC Agricultural Issues Center, USDA NASS, Ben Faber, Ph.D. of UC Cooperative Extension Ventura. As the use of prescribed fire by Cal Fire declined in recent decades, its use also declined with private landholders, says Lenya Quinn-Davidson, director of the Northern California Prescribed Fire Council, who leads prescribed burning workshops across the state. Scott Stephens, the UC Berkeley professor, concurs. 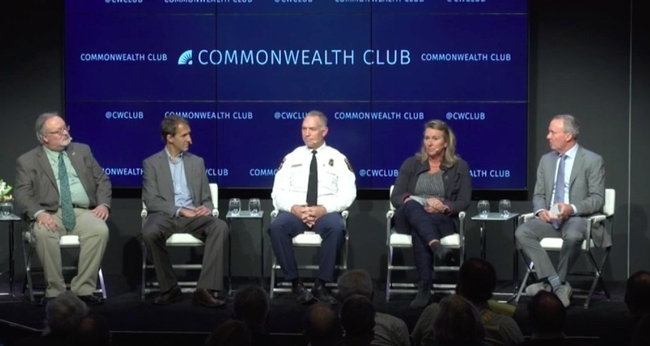 Decades of suppression left the western U.S. with relatively few people trained to carry out the work: “We just don't have that experience to pass on.” But it's important not to let the current enthusiasm pass, he says—as climate change continues to push conditions toward extremes, as wildfires consume more and more of fire agency budgets, and as the wildland-urban interface expands, it will only become more difficult to bring fire back. After operating a pilot version of the ambitious program, a $200,000 grant from the USDA National Institute of Food and Agriculture's Beginning Farmer and Rancher Development Program is a launch pad for the immersive learning experience. For the first cohort of students, many of them women and/or people of color, immigrants, refugees, veterans or farmers-to-be with limited resources, the land is a classroom. Instruction comes from First Generation and experts from the National Center for Appropriate Technology and UC Cooperative Extension. Participation in the program represents opportunity and fulfills dreams the first-time farmers hold of agricultural avocation, economic stability, families, homesteads and permanence. This coming February 6, 2018, Lodi winegrowers will get together for their 66th Annual LODI GRAPE DAY. 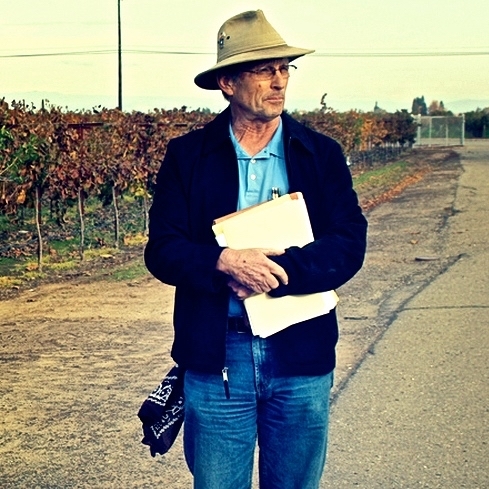 They will also mark the occasion with a celebration of the retirement of Paul Verdegaal, who has been working full-time as San Joaquin County's viticulture, bush berry and almond Farm Advisor under the auspices of UCCE (University of California Cooperative Extension) since 1986.